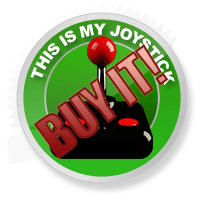 Review: Prototype Review - Page 2 of 3 - This Is My Joystick! When I first started playing through the campaign I was filled with a feeling of pessimism about the game. 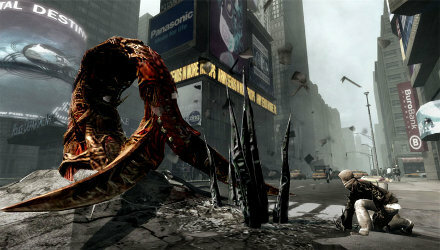 The training section of the game involves running through a city in chaos, absolutely full of infected monsters and trigger happy military. You’re thrown straight into the action without any knowledge of the situation you’re in or how to use any of your vast range of abilities. Everything seems very rushed and haphazardly thrown together at this stage, and it’s quite difficult to properly enjoy it. Fortunately, this section is mercifully short, and my feeling of pessimism slowly melted away as the games perspective shifted in to the past. Once the game begins proper, you start off with very few abilities, but also with an entire city to explore at your own leisure. When the pace of the game slows down like this and you’re left to your own devices for a while, the game become much more enjoyable as a result. The general format of the game is largely reminiscent of the likes of the GTA and Spider-man series, in that you are free to do whatever you please in the game world, and can start the next step in the game by walking to a certain building or person. Prototype’s biggest strength is undoubtedly the free roaming sections. Alex is blessed with pretty impressive acrobatic abilities, he can jump incredible distances, run up walls, glide through the air and fall from any height with no ill effects. Although I didn’t really appreciate these skills until I had upgraded them a bit, the smooth animations and awesome effects when you crash into the ground from a height make the whole platforming element very satisfying, and it’s actually a lot of fun just running around Manhattan, collecting some of the hidden collectibles dotted around the skyline. Apart from just looking cool while you run around, you’re given a few fun incentives to explore a bit. The city is littered with a variety of mini games, such as sabotage, time trials, killing sprees and the like, and for the most part they are fun to play and give you valuable experience which you can use to turn Alex into an even more destructive force. Trust me, you’ll want to do this; the developers have done a cracking job of making Alex feel immensely powerful, and it just feels awesome completely annihilating a whole squadron of Blackwatch soldiers (usually in the most gory and badass way imaginable), or emulating the Penny Arcade comic that Andy has been raving about, and drop-kicking a helicopter into a fiery piece of scrap. One of the best things about exploring the city is discovering new ‘Web of Intrigue’ targets. Alex is able to consume any living thing, taking memories, skills as well as the physical likeness of his victim. You can do this to any living person in the game, but there are certain people in the game who have direct links to Alex who you can consume to find out a bit more about his life before the event of the game. Consuming these characters gives results in a brief, but well put together, video clip of what that person knows about you, as well as unlocking the next person in the web. Most of the targets are completely optional, but it’s a really interesting idea and a good way of increasing the longevity of the free roaming sections of the game. It’s just a shame that they’re more interesting than the main storyline. The combat, like the platforming, is a bit simplistic at the start, but gets a lot more fun when you upgrade Alex into a more glorious killing machine. Your arsenal is essentially split up into a collection of attack and defence modes, and you can have one of each selected at any time (there’s also a couple of sensory powers such as infrared vision, but I’m yet to find them in any way useful). You can fight without either mode active, but when you activate an attack ability, things start to get interesting. Selecting the Hammerfist power for example turns your hand into a huge sledgehammer type weapon, giving you more firepower against tanks and the larger infected enemies, while the Whipfist lets you grab and decapitate enemies from afar. Pretty much all of the offensive abilities look and feel great and the different abilities introduce a slight tactical edge to the combat. However, there are times when you’ll be able to complete a mission without getting into any conflict at all. Prototype has a stealth element which, although very simplistic, offers an alternative path when dealing with most obstacles. The whole mechanic revolves around consuming enemy soldiers so that you can take on their appearance, allowing you to walk past guards without being bothered, although there are devices which can see through your disguises. This element of the game is very rough around the edges; for example, enemy soldiers often won’t think twice if you jump off a 200ft building and land right next to them without even stubbing your toe, as long as you’ve got the right uniform on. That being said, it’s passable enough to give another satisfying approach to most missions. It feels good using your athletic skills to get into an enemy compound unnoticed, and then quietly consuming a Blackwatch commando to get closer to your objective, and then going on a colossal rampage when you’re close enough. You can tell just from how big some of the fights in this game get (you’ll often find yourself in the middle of a conflict between 50 Blackwatch soldiers and infected citizens) that Radical were going for a big, loud feeling game, but in this case I think that they could have spent more time tweaking the quality of the core elements of the game rather than just throwing more and more features at it.